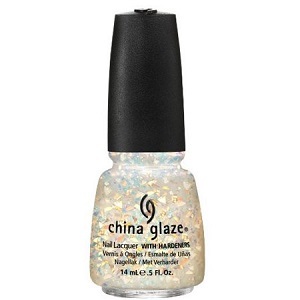 China Glaze Nail Polish, Luxe And Lush, 1132, .50 fl. oz. Glitter topper with iridescent opal-toned orange, pink, blue and green mylar flake glitter in a clear base. China Glaze Hunger Games Collection.